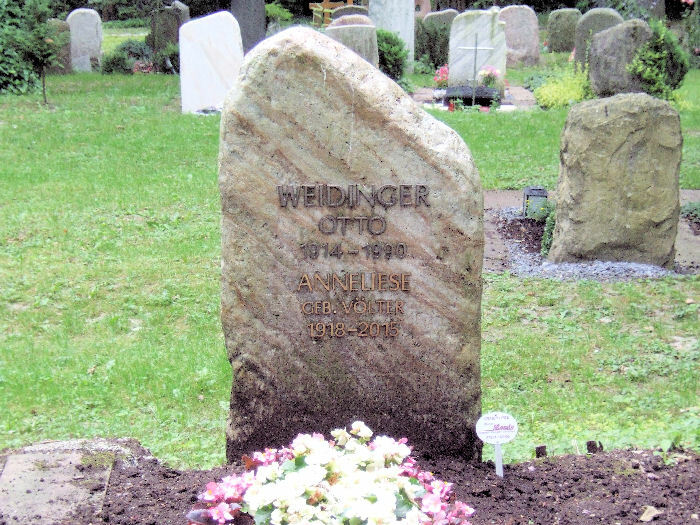 This is the headstone of Otto Weidinger in the Waldfriedhof at Aalen in Germany. It is notable that there are no symbols of Christian faith on the headstone and that this graveyard is not associated with any church or branch of faith. During his service with the SS, Weidinger did declare himself to be unaligned to any branch of the established church and that he was "Gottgläubigkeit" as did so many other members of the SS. It does seem that he never subsequently changed his mind on the subject and was possibly an agnostic at the time of his death. As can be seen, nothing changed with the interment of his wife in 2015. See by way of a comparison, the grave of Otto Kahn, who was second in command of the attack on Oradour. Weidinger who was with the Regiment before the 10th June and became the Der Führer commander on the 14th June 1944 must have known the full story of Oradour. 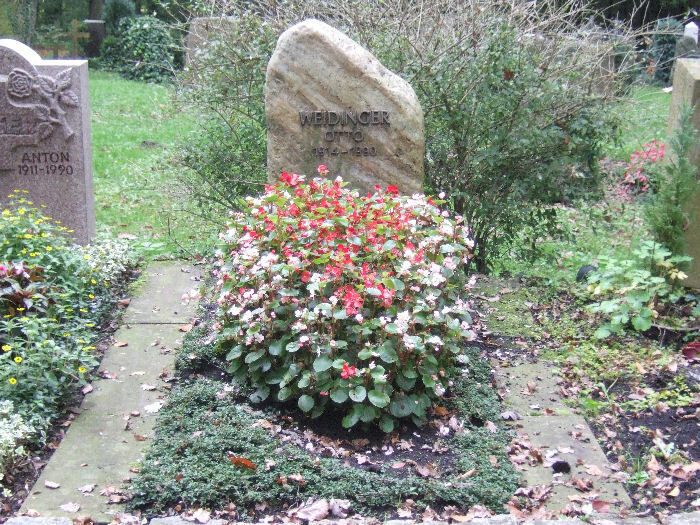 Weidinger was born on 27 May 1914 at Würtzburg, Germnay and died 10 January 1990 at Aalen in Germany.